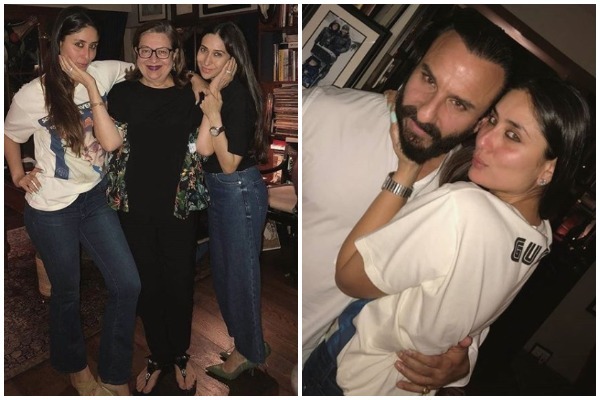 Kareena Kapoor Khan rings in 38th birthday with husband Saif Ali Khan, sister KArisma Kapoor and others. Kareena Kapoor Khan’s motto is essential to live a happy and a stress-free life— I am my favourite. While we wish we could thank the ‘Jab We Met’ actress in person for this magical mantra, we can do one thing! Celebrate her birthday by looking at the pictures from her midnight celebration! Kareena Kapoor Khan rang in her 38th birthday which is today, September 21 with style among her family members in her Mumbai home. Karisma Kapoor,Samiera Kapoor, Kunal Kapoor, Randhir Kapoor, Babita, Soha Ali Khan, Kunal Kemmu, Saif Ali Khan along with other family members and friends were present for the intimate celebration. On Kareena Kapoor’s 36th Birthday, Here Are Her Best 10 Looks From The Ramp As Showstopper! Of course, if there is a birthday, there has to be a cake! 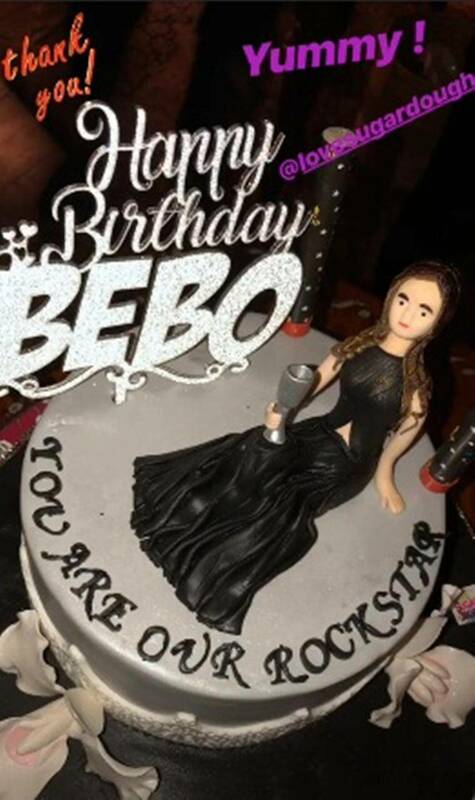 Kareena’s customised birthday cake proved what we thought and believed all along, that she is a Rockstar! Sister-in-law Soha Ali Khan too wished Kareena on Instagram by sharing a picture of the midnight birthday celebration. While Chote Nawab of the Pataudi Family was no where to be seen in the pictures, we hope Taimur Ali Khan got a slice of that yummy looking cake. We at Eventznu wish Kareena Kapoor Khan a very happy 38th birthday!